Samsung lets the Galaxy S III Mini breaks out of the rumor mill as JK Shin, head of Samsung Mobile Communications, confirmed to the media that they will indeed have a mini version of the sought-after Android royalty. Launching of the said device will be on October 11. Apart from the unveiling date, Samsung has spilled out a little amount of beans in the regarding the handset. 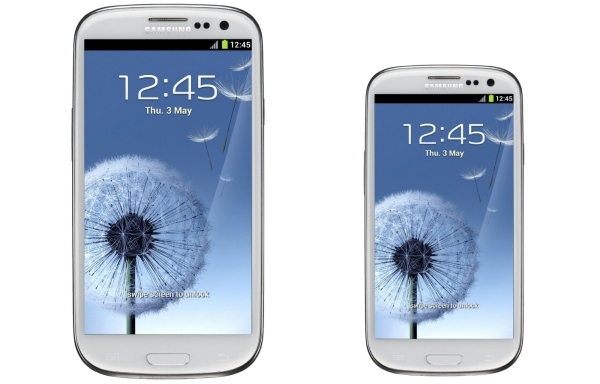 But we all know that the Galaxy S III will have a 4-inch display and will pack the same specs as its 4.8-inch brother. The Korean giant has responded to the demands of a smaller Galaxy S III, pointing out that most of its user base find the bigger S III to be bulky when carried in one hand. This move of Samsung will post an absolute competition for the 4-inch king, iPhone 5. However, a much lesser price of the Galaxy S III Mini could possibly have an edge over the Cupertinos’s flagship handset.